My first book, Television's Window on the World: International Affairs Coverage on the U.S. Networks, was published in 1984 and was based on my doctoral dissertation in Communication at Stanford University. I've now made it available in a Kindle edition, via Amazon's KindleDirect program here. Although it does not deal with Korea or with telecommunications per se, a careful reader will notice the influence of my earlier Peace Corps experience in South Korea. The book did quite well, as academic monographs go, and can be found in many university and other libraries around the world. A few years ago I published the book in full view and with PDF download available through Google Books, and there have been thousands of visits to it in that form. However, with the rapid diffusion of mobile broadband and smart devices, I thought it was time for a Kindle (Mobi-pocket) edition of the book. My own experience has convinced me that some readers will prefer this format over a straight PDF. It can be placed on one's Kindle bookshelf and organized alongside other books. The ease of highlighting, annotating and searching are shared with other e-book formats. Most of all, reading the book on a nice tablet device is more natural and easier on the eyes than sitting in front of most computer screens. 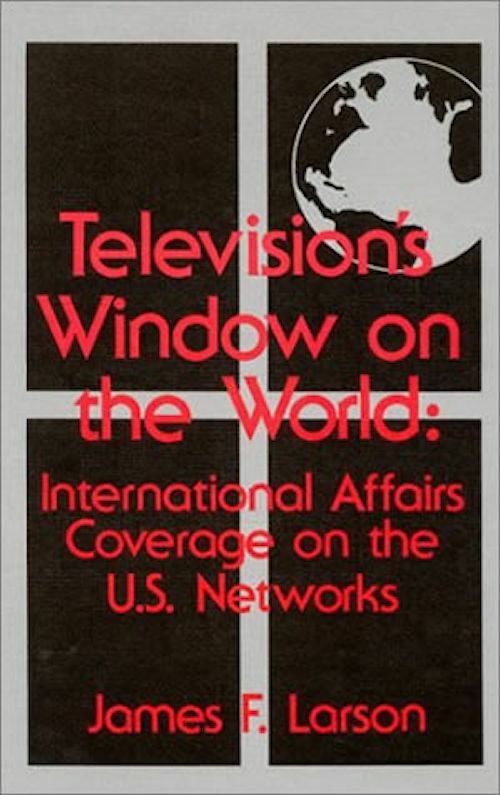 Over the years, Television's Window on the World has seen some use as a textbook, mostly in graduate seminars. That was another motivation to re-format this book as a Kindle edition. It fits in with my longstanding plan to eventually write a completely revised second edition, with embedded video or hyperlinks to video examples of television coverage throughout. I've written a short new introduction to the Kindle edition. Otherwise it is the same book whose yellowing pages can be found on library shelves all around the world. The 40-plus tables and figures in the book have all been included as jpeg files, so the reader will occasionally need to double-tap to enlarge the scanned image.